The Beishu Method is a Revolutionary Healing Technique for Chakra Balancing, Healing, Cleansing and Integration. 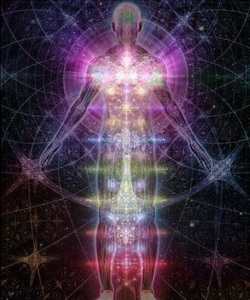 This unique system of healing allows Carol to open each chakra and clear the related organs and systems involved in that energy center. Every chakra is related to specific psychological functions and relates to our current and past life experiences. By working with the vibration of the chakras, Carol can determine one's overall long-term and current life and health issues. This advanced method allows her to connect with the higher consciousness of the elemental, emotion or belief, discover its purpose for revealing itself and release it from your body and chakra system. These reasons can have to do with karma, life lessons, past trauma or poor diet and lifestyle choices. The Beishu Method is a highly evolved system of healing and the experience is unique for everyone. Carol is then guided to change the colour of the chakras to best fit the development and spiritual growth of an individual. It truly is a exceptional and valuable experience for anyone.